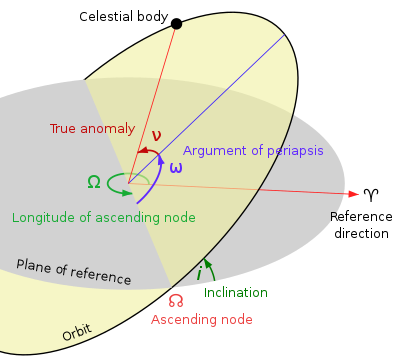 The longitude o the ascendin node. The longitude o the ascendin node (☊ or Ω) is ane o the orbital elements uised tae specify the orbit o an object in space. This page wis last eeditit on 11 Julie 2016, at 21:58.